A modern business centre providing a range of office-spaces available on flexible terms at affordable rates. Tenants can make use of the spacious meeting rooms, coffee corner, cleaning service and high-speed internet connection. All work-spaces benefit from plenty of natural light as well, creating a positive working environment. In addition, transport links in the surrounding areas are copious and easily accessible. The train station is at your doorstep and from here you can access Amsterdam within roughly 30-minutes. Local amenities can also be found in abundance in the immediate vicinity. This centre sets the benchmark in accessibility. Just a short walk from the centre of Alkmaar, and easy to access from the A9, this contemporary serviced office centre is available for immediate occupation. With ample parking and its own entrance, this office would suit a range of business types. Close by, there is a fitness centre, events venues, a supermarket and several restaurants to visit during your breaks. This business park is ideally located on the ring road, close to the centre of Alkmaar. Offering a range of units with private parking, this centre provides a striking image for your business, and creates a comfortable and efficient work environment. Here, you will benefit from furnished offices with 24-hour access, shared internet, parking on-site and IT support. There are also events spaces very close by for conferences, conventions and presentations. This serviced office is conveniently located on a modern business park, with easy connections to Heerhugowaard and Amsterdam. The centre provides modern accommodation and is available immediately on flexible terms. Central heating provides optimum comfort throughout the year, and the offices are highly versatile to suit businesses of any background, with open-plan, unbranded workspace solutions. The centre is at close quarters to a park and golf club, as well as several shops, eateries and a supermarket. 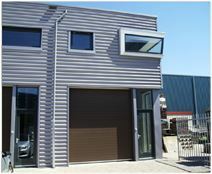 This serviced office is ideally located in Oudorp, with easy access to Amsterdam by way of the A9. This centre can accommodate up to 15 persons, and offers a comfortable modern business environment. This space is highly adaptable, and accessible 24 hours a day; perfect for companies with international clients. These offices are available of flexible terms, and are suitable for teams of various sizes. Park Oosterhout is just a short stroll away, which stands opposite an events centre where you can host conventions.